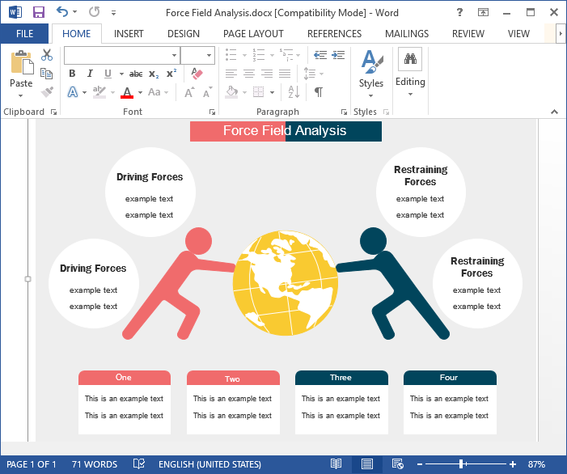 See all templates for Force Field Analysis created by Edraw, PDF, Word, PowerPoint, etc. This page provides a number of Force Field Analysis templates you can download for free to save your valuable time. What's more, all these templates can be converted into PDF, Word and PowerPoint formats. 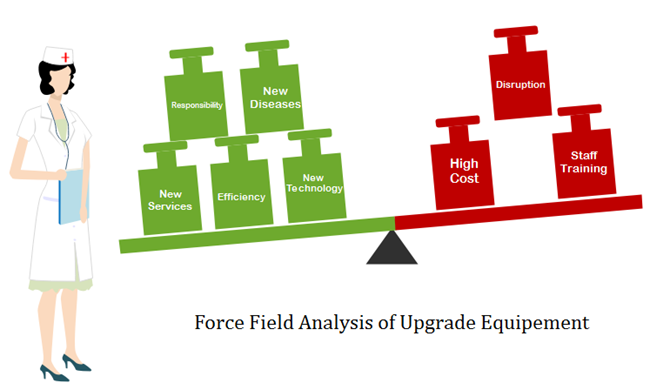 You can personalize your Force Field Analysis Diagram as the way you like. Edraw offers the fastest way to create a Force Field Analysis Diagram. It only takes a few clicks to complete the designing and structuring. 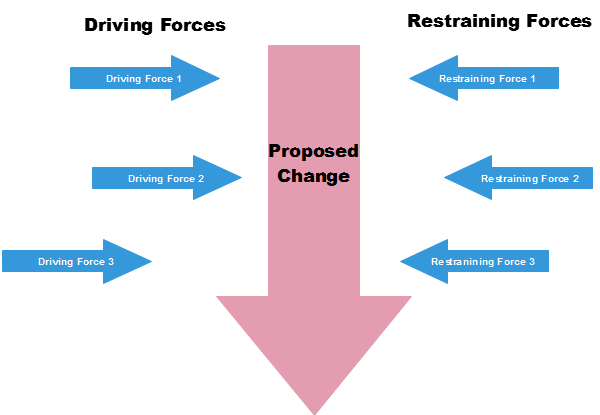 Click here to see how to create an amazing Force Field Analysis diagram within 4 steps. When you finished designing your Force Field Analysis diagram, one click on the "Export & Send" button will transfer your diagram into PDF format. 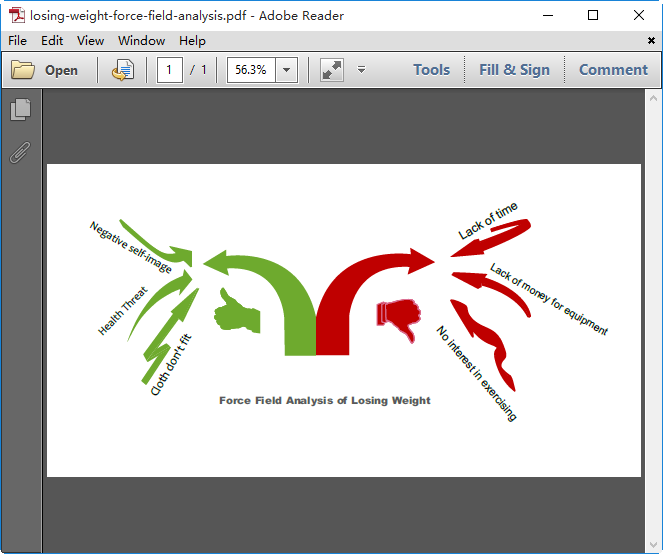 The diagram template above shows perfectly a Force Field Analysis Diagram in PDF format. One of the greatest features of Edraw is its compatibility. All files created on Edraw can be exported to other file formats, colors and shapes are free to change for your particular requirement. No other additional tools needed, just one click and all will be done in a blink. 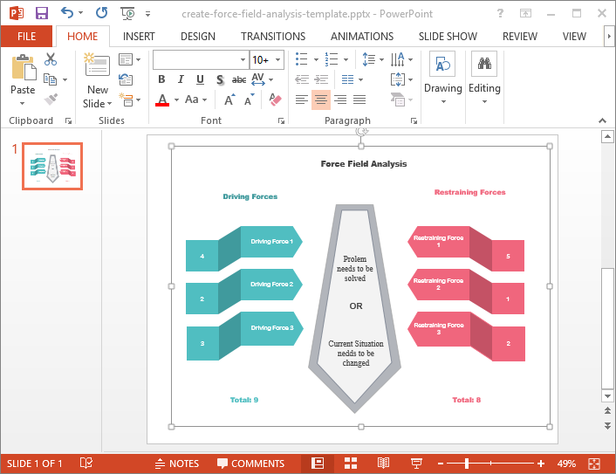 When your Force Field Analysis diagram needs to be presented on PowerPoint, just hit the "Export & Send" button and your diagram will be converted into PPT.